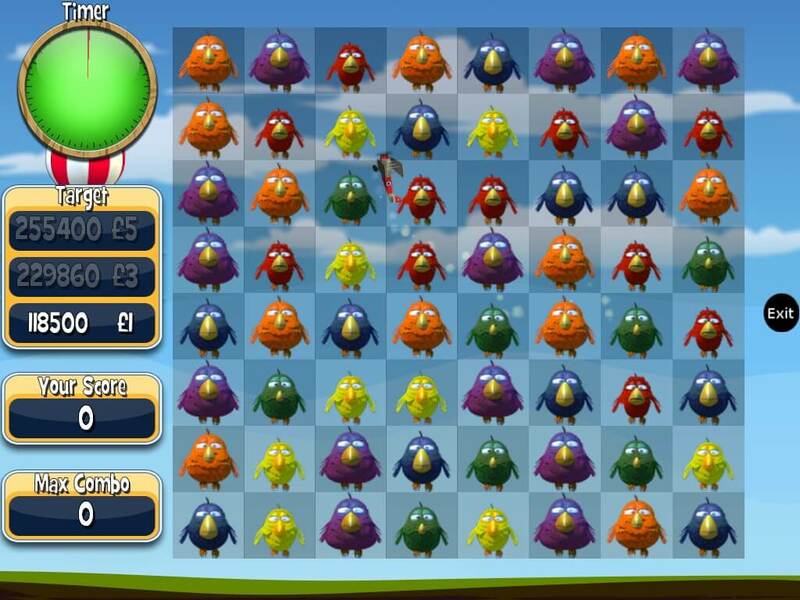 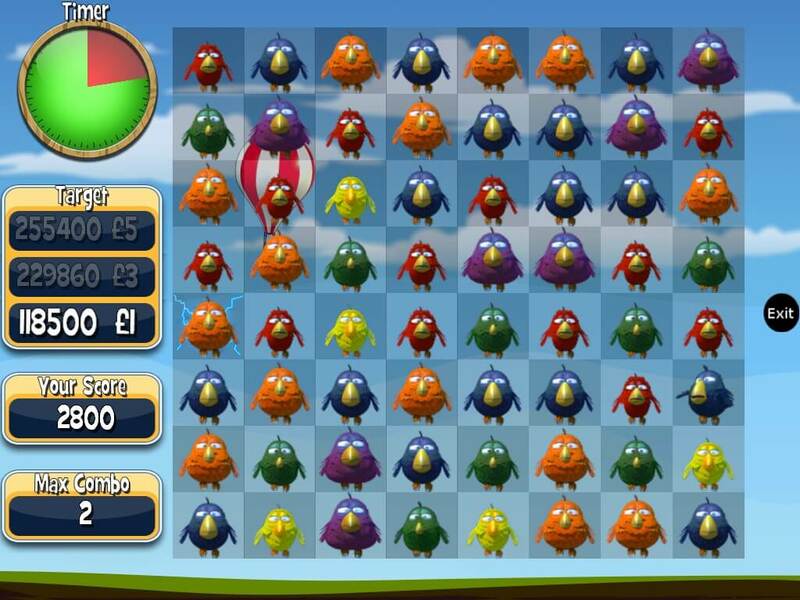 Catch some fast and furious bird matching action in this frantic puzzle game. 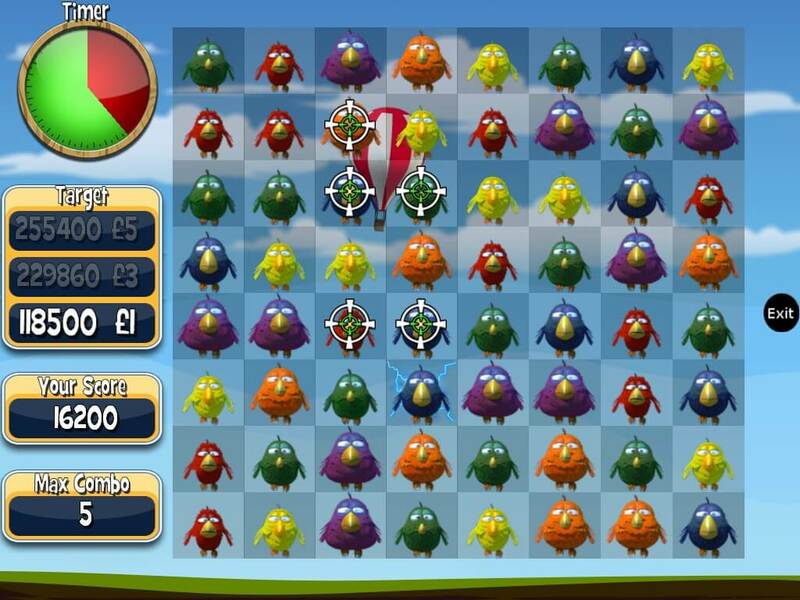 Click on 2 adjacent Birdz to swap them, and make sets of three or more to score! 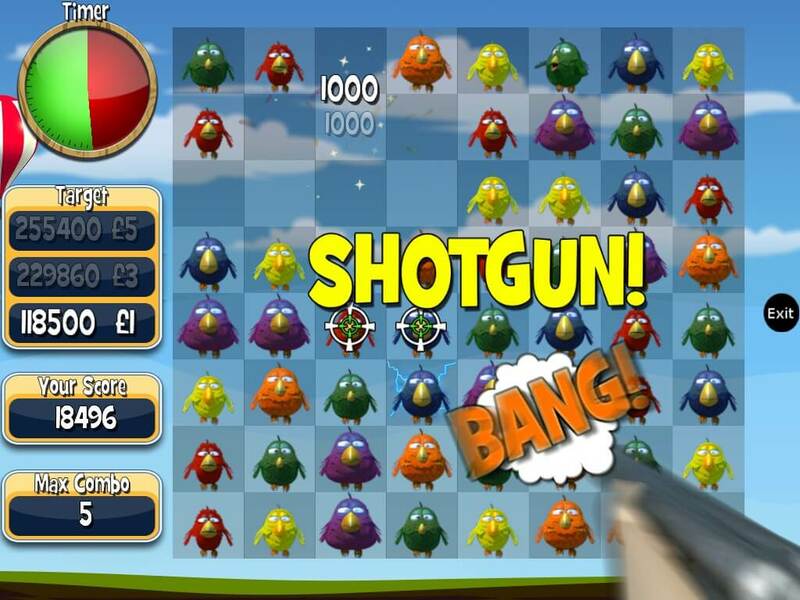 Utilise the crosshair symbol to scare surrounding Birdz away. 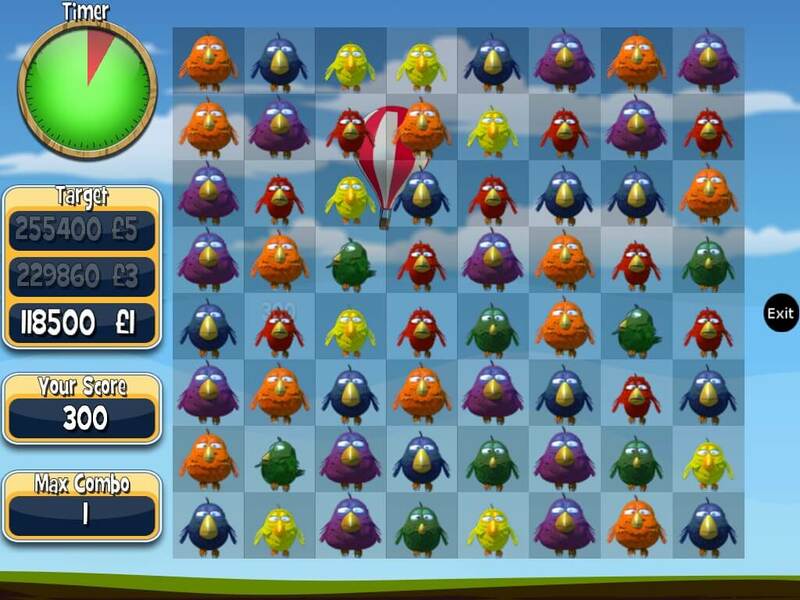 Tonnes of feathered fun for everyone!